How to fix ERR_EMPTY_RESPONSE Error? Are you getting the Aw, Snap error? ERR_EMPTY_RESPONSE, the website didn’t send any data and might be down. You may receive the same error with a different message like ERROR 324 ( net:: ERR_EMPTY_RESPONSE ). The Server closed the connection without sending any data. It means that the website you’re trying to access isn’t responding or sending any data to your requests. The error ERR_EMPTY_RESPONSE: The website didn’t send any data, and might be down is alarming because of the Internet Connection. In this case, you might see the page is loading slowly or not opening at all. There is the number of fixes available for this problem. Here, some important fixes are listed down have a look at them. Restart your PC and then try to load the page again. 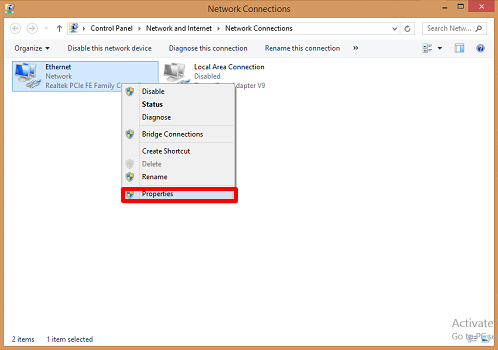 Right click on the Network Icon and click on Open Network and Sharing Center. Click on the Change Adaptor Settings option. 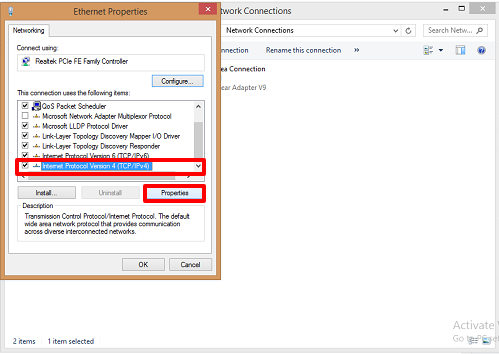 Select and right click on your network, and choose Properties. 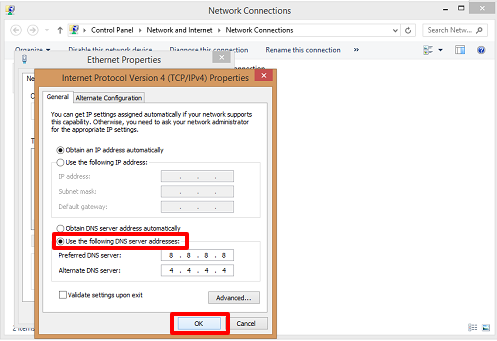 Select Internet Protocol Version 4 ( TCP/IPv4) and click on Properties. 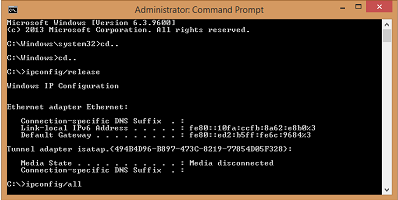 Choose Use the following DNS server address from the available options and then add Preferred DNS Server: 8.8.8.8 and Alternate DNS Server: 8.8.4.4. 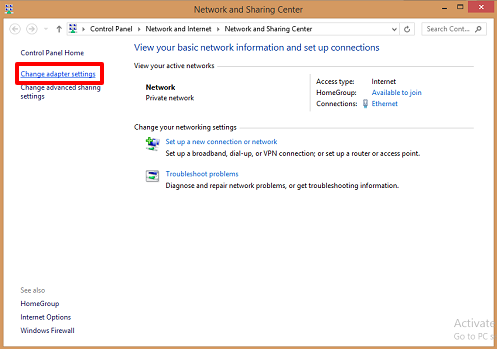 Now, you need to clear the browser DNS cache ( Google Chrome ). 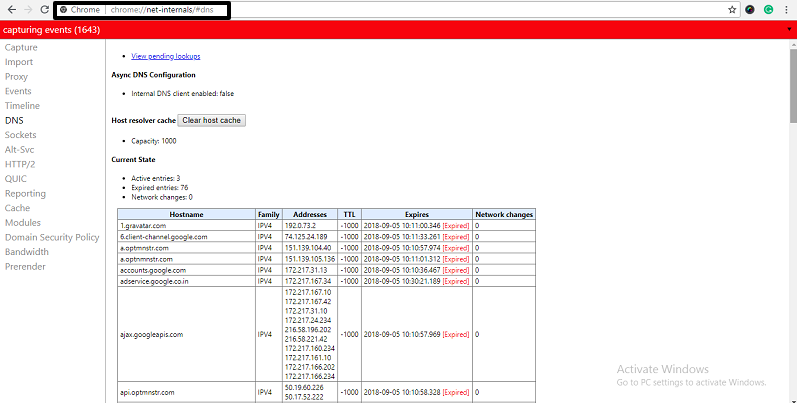 Open Google Chrome and type chrome://net-internals/#dns. Click on the drop-down icon at the top right side of the browser. Click on Clear Cache & Flush Sockets. The simplistic solution is to reload the page. You can also press Ctrl + F5 key combination to reload the page. Click on the top left of the browser window reload icon. Ensure the internet connection first. After ensuring the internet connection, try reloading the tab with the error. Your browser might have information stored that is stopping the page from loading. If the page opens in the private window that means you have to clear your cache and cookies. The ctrl+shift+n is used to open the private window. You can access the page with the error here to check whether it is loading or not. 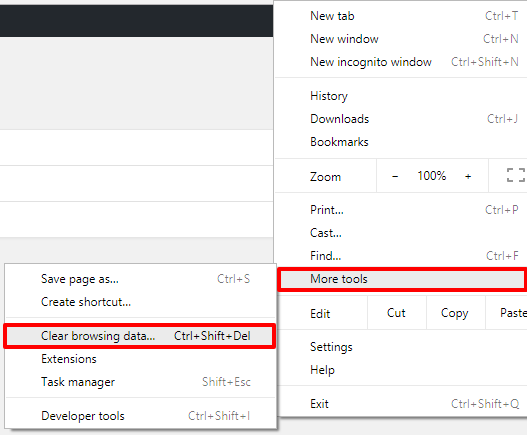 You can clear the browser cache by navigating to the top right corner of your browser window and select More Tools >> Clear Browsing Data. You can access the page with the error on a private window to check whether it is loading or not. The shortcut for accessing the incognito window is ctrl+shift+p. 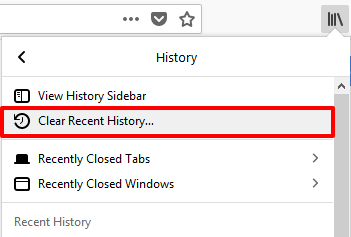 You can clear the browser cache by clicking on the History >> Clear Recent History at the top right side of your browser window. The shortcut for clearing your browser history is ctrl+shift+del. Your device may run out of memory error, and not able to load the site. Free up memory, by closing every tab except for the one that’s showing the error message. Quit other applications that are running correspondingly and uninstall unnecessary extensions from Chrome. 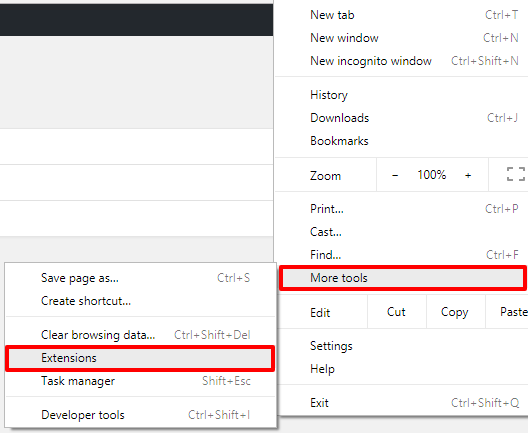 Click on More Tools >> Extensions. Try reloading the tab with error. 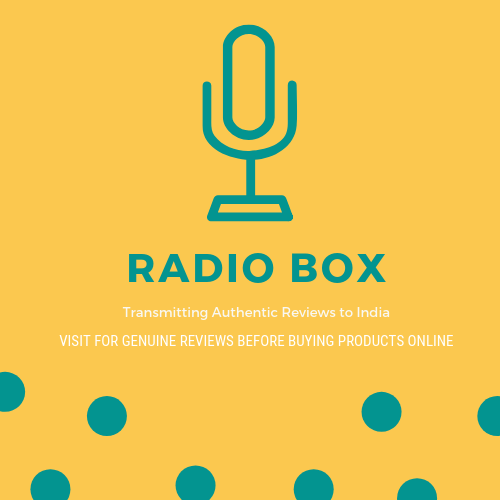 Find and remove unwanted software and try reloading the tab with the error. Check if there’s an update available. If there’s, you’ll see an option asking for Relaunch. Click Relaunch and try reloading the tab with the error. If there are no instructions, your browser is up-to-date. If you are noticing the error only when you try to log in then the problem is with the wp-login.php, you have to replace the wp-login.php file with the latest WordPress file.